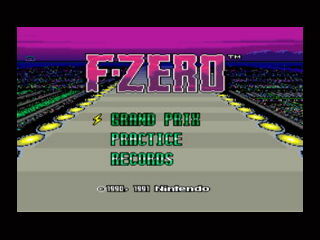 F-Zero was a launch game in 1990 on the Super Famicom in Japan and the start of the popular futuristic racing franchise. The first installment in the characterized it by high speed racing that focuses on the players driving skills fully with no weapons of sort on the track. It's all about mastery of the driving mechanics which could provide quite a challenge in the unforgiving master difficulty mode.